Local Lighthouse is stating that they will be ready to offer 3 new site designs starting in 2013. 3 new site styles and many more options will be presented in 2013 for Local Lighthouse Clientele. The Tustin based internet marketing company, Local Lighthouse, has announced its strategy to compete. Local Lighthouse is a fast growing SEO company in the online marketing and web development industries. President of Local Lighthouse Eric Oakley states, “We are always researching and finding new ways to get our clients 1st page placement on the major search engines.” Since our last news release in 2012, they have really shown they are here for good and there is no limit to the companies’ capabilities. They have been ranked in the top SEOs’ for 2011 and 2012 on TopSeo. 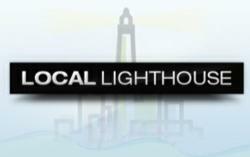 In January of 2013, Local Lighthouse will launch new packages, waive setup fees, and be adding 6 month short term agreements. This will discount way below their normal pricing structure. The new packages include three new website designs that offer cutting edge graphics, and innovative technologies that are developed in-house by their staff. After careful research, and experience in the SEO industry their clients get top notch service which has shown through in their reviews, which can be viewed on, Yahoo. The new design styles they are featuring will be named; Sutra which is a design that has become very popular within their client base. Royale and Tryst are brand new, and will spring onto the market for the first time. The packages start at just $199 per month and details can be seen on the Local Lighthouse website seen here: Local Lighthouse.